Ah, Blackfish. The film that painted SeaWorld parks as money hungry animal abusers was hoping to inspire many to stand up in unity against the whale based “tyranny”, has once again shown it’s true intentions. Protesters who took part in a nation wide “anti-SeaWorld” day vandalized areas around the park. Protesters lined up Saturday May 24th for an international day of protest, to let the world know the “evil” of the marine life park, which has several marine mammals. Through the course of the day some of the protesters vandalized a highway sign. According to Fox 5 San Diego, an activist hung over the highway, and painted over a sign. The vandalism will cost taxpayers money as the sign will be removed and need to be repainted. Activists are well meaning individuals, however the message often gets convoluted, such as the case with those who follow the film, Blackfish. The film uses creative editing, and interviews with ex employees (most of whom were fired for performance reasons) to paint the company as only being interested in money. The truth of the matter is that SeaWorld not only puts more care for their animals than any other park. The park not only helps to study animals In the park, but also helps to get a better understanding of the animals and how to help them in the wild. “This act of vandalism demonstrates that, once again, these extremists are more concerned with publicity stunts than actually helping animals,” SeaWorld San Diego spokesman said Sunday. 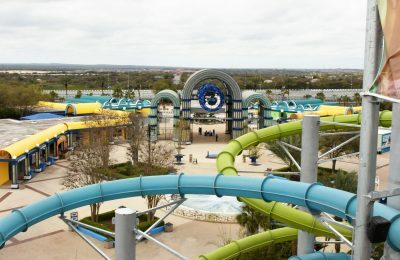 While each park had protesters lining the entrances to the park, that didn’t stop visitors from reaching capacity level crowds at all three SeaWorld parks, and Aquatica waterparks. In Orlando, the protesters stretched from the entrance, towards International Drive while the line of cars waiting to get into the park stretched past International Drive. In Texas, protesters were done with the picketing before noon, while crowds packed the parking lot until well past 6p.m. It’s not uncommon for activists to go to extremes, though it is unfortunate. The film Blackfish has misrepresented the work that not only the park does with the animals, but also the overall message of the park, which is making connections with nature in the hopes of taking that connection with you and changing the world. While it’s okay to disagree with things, such as animals in captivity, it’s very important to learn the truth about something from all angles. @BuenaVista28:Not everyone agrees with animal captivity, some believe having them in the tanks is abuse in and of itself. Not misinformed..
@westcoasternet@ Vandalism immediately turns views into thuggery and invalidates intelligent debate. Not to mention counterproductive. It only entrenches people and causes further polarization. Stay tuned as we bring you more from SeaWorld, and be sure to get social with us on Facebook and follow along with us on Twitter @BehindThrills for the latest updates! For more about the care that SeaWorld gives to their animals, visit the official website by clicking here! 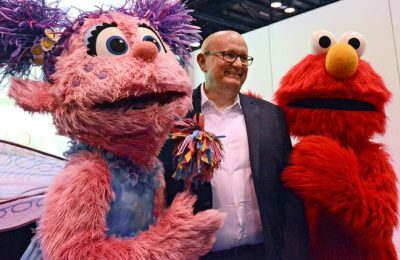 Previous PostSeaWorld Orlando's Discovery Cove breaks barriers for annual Gay Day celebration Next PostUniversal Orlando unveils new vacation packages for Diagon Alley beginning June 29th!